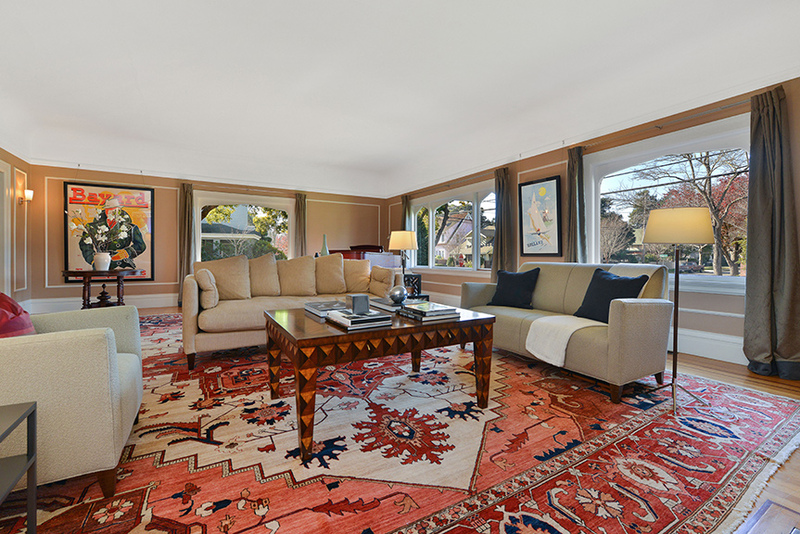 Traditional rugs bring welcoming warmth to modern spaces. Exuding timeless glamour and telling a vibrant, historic tale, traditional rugs are shedding their age-old facade and finding their way into contemporary homes. Old World rugs have proved their versatility and unchanging charm by transforming from a conventional design staple into the perfect backdrop for modern décor. Their intricate patterns and pigmented color combinations, mixed with the simplicity and ease of cutting-edge design, flawlessly blend the elements of old and new style. Old World rugs establish visual interest and add instant appeal to any space while fitting seamlessly with the understated, classic components of contemporary design. “Mixing traditional and nontraditional styles creates a more sophisticated and mature look than simply leaning towards one style,” Halbert explains. When incorporating these rugs into your home, take into consideration size, color palettes and patterns. The rug should complement your furnishings and decorations without overwhelming the space. While rug size and colors are based on room dimensions and personal preference, Greg suggests sticking with a simple pattern to make a stylish statement. “Tribal and village rugs often have bold, large details that work well in modern settings with polished looks,” he comments. As opposed to city carpets, which feature busy motifs that can quickly date or overpower a room. The geometric feel of tribal rugs and informal, loosely drawn style of village rugs are the perfect finishing touch to crafting a cozy, inviting space. Standing the test of time, traditional rugs add functional flair and colorful character to contemporary spaces, while creating balance between two contrasting styles. “Even though they are on the floor, a handcrafted rug can make a big impact on any room,” says Halbert.